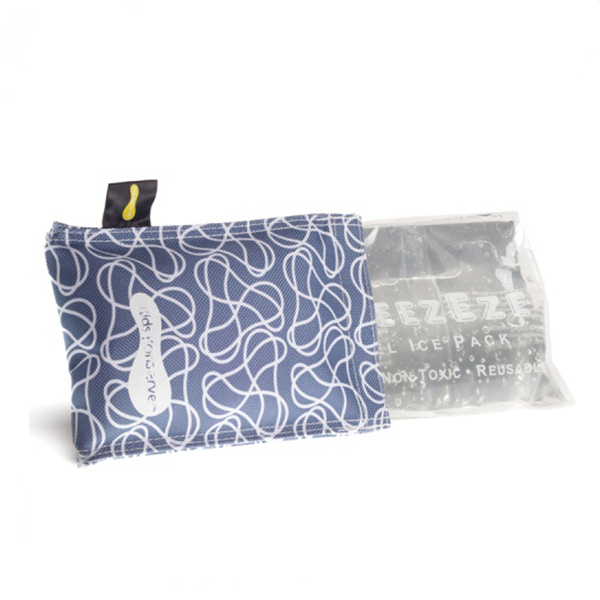 Perfect for keeping snacks and lunch cool, this stylish ice pack has a non toxic removable gel pack and a patterned cover made from recycled plastic bottles. Pop the gel pack in the freezer, then when frozen place in your lunch sack and it will keep your lunch cold for hours. 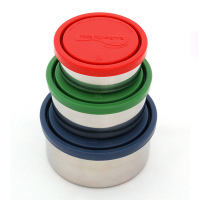 The cover means it won't get everything in your lunch bag wet like standard freezer blocks do! 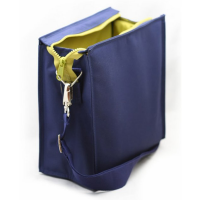 Fits perfectly in the pocket or bottom of the U-Konserve Insulated Lunch Bags. Care Instructions: Hand wash or wipe with mild soap and water. For a more complete cleaning machine wash in cold water (WITHOUT the gel pack) and air dry. Cover is made from Petspun #1 which is made from 100% non-toxic recycled PET #1 plastic bottles. 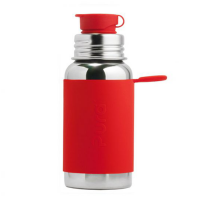 The material has a very durable feel and smart textured finish. The clear gel pack is made of a non-toxic sodium polymer.